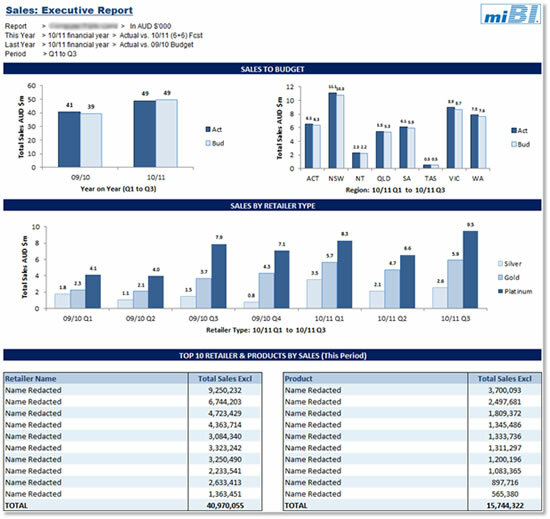 This is an example of a dashboard style report, which provides a holistic overview of sales performance. It shows quarterly year-on-year actual vs. budget sales, broken down by region and customer type. Top 10 customers and products are also included providing opportunities for targeted campaigns. 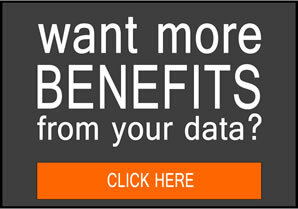 Drill down is included on the customers and products, to the lowest level of data as imported into your system. The report can be filtered by company hierarchy, financial year, quarter, budget comparison figures and data from which original system.